Back by popular demand on June 22, Reeves in conjunction with Jeff, manager of their Motorsports by Reeves division, and their boys from Ingolstadt, Zuffenhausen, and München will be holding their second annual “Drop the Flag” for the start of the 24 Hours of LeMans. What a great way to spend the morning of one of the longest days of the year. The folks at Reeves always put on a class event and this one will be no exception as Kim with her team will be at it again. We of course are looking forward to a big turn out for the Four Rings, as we park under the trees amongst the Roundels and Stag Horns. Additional information, details and RSVP instructions to follow. June 8, after their very successful meeting at Audi North Orlando, will find the newly reconstituted Citrus Region meeting for lunch and a chat at the Docksiders on the St Johns River. 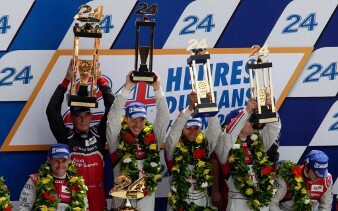 June 22, the Gulf Coast Region will be gathering at Reeves to continue the tradition of LeMans viewing. This time we will be under the trees at their Motorsports facility for some light snacks and indoor/outdoor viewing of the race. Plans are afoot to hold our fifth annual tour of the Audi Technical Center in Clearwater. In the past, and as those who have attended can attest, this has always been a very informative experience, often with guest speakers and always an opportunity to see first hand, some of Audi’s behind the scenes operations. We've added a new feature on the website called Out on the Road & we're looking for reader submissions for interesting, rewarding, and fun side trips around our state. Please RSVP to Patrick at patrick@audiclubfl.org by noon Friday June 7. Raffle sales continue so if you have not purchased your chance to win a 2014 Estoril Blue S5, contact Andreas atandreas.baensch@audi.com, he will give you all the details. Those who have had an opportunity to drive the 333 Horsepower 3.0 TFSI engined S5 will attest to the sheer pleasure and almost daily comments one receives on your good taste for choosing what a great looking car. If you have been an ACNA member in good standing for six months, you will be eligible for a 6% discount from MSRP on the purchase of certain Audi models. Yes, a few of the usual suspects have been excluded, the R8, RS5, TTRS, and a few others, but check out the details at ACNA Membership Benefits. 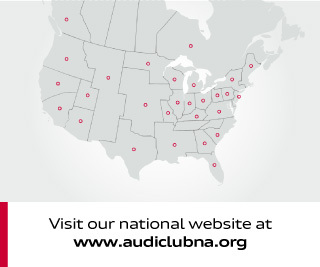 If you plan to be in the market for a new Audi, it literally pays and saves to be an active member of the ACNA. Just do the math on the Audi of your dreams. Welcome to our new ACNA members. Our membership numbers are once again growing which means additional critical mass in different regions of the state and hopefully more events and participation. Those of you who are new to the ACNA will receive an on boarding note from David Loppert, if you have; any questions feel free to drop either David david@audiclubfl.org or me bob@audiclubfl.org a line. I also suggest that if you have not had a chance yet check out both the ACNA website, and the Audi Club of Florida website. There is a great deal of good information plus some excellent photos of member’s cars. 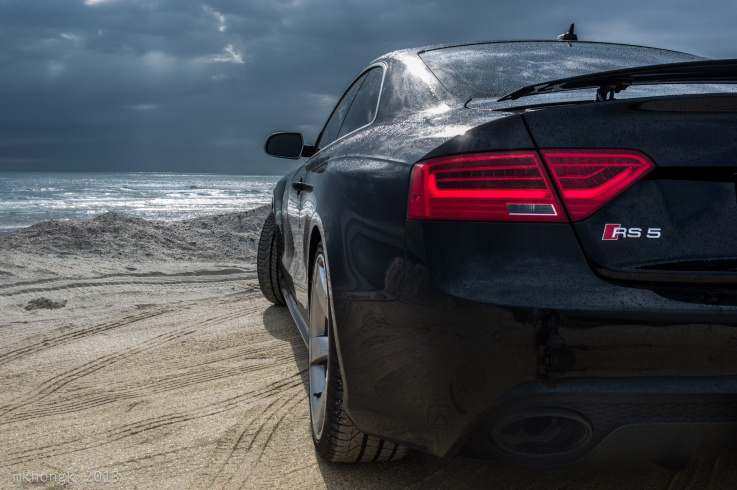 Here is a link to some very interesting information and opportunities should you be a veteran and have a desire to become an Audi Brand Technician. Because you can, here would be one very nice acquisition. This classified listing is for ACNA members only, if you have a special Audi such as one of the S or RS models or a pre 2000 that you would like to sell, we will list it once in the newsletter. I will need the year, model, color over interior color, and your email address. Longer and non-member postings can be placed in the website. We will also list DKW and Wanderer motorcycles. If you are looking for a particular car, once again S, RS or pre 2000 model plus a bike, we will also try to accommodate you here. For those who would like to peruse through three 1939 Auto Union new car sales brochures, here is a site and links to the Audi, DKW and Wandered catalogs. I believe that I drove behind this car last summer at the Donau Classic in Ingolstadt, tracked straight, accelerated well and no blue smoke during gear changes. 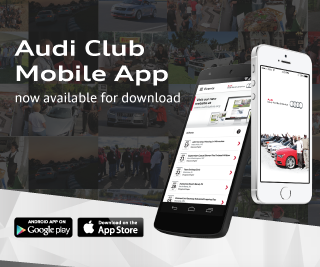 You can also use the Classifieds Forum on the Audi Club of Florida web site. So why do we choose the cars that we drive? Prior to making some sophomoric attempt to explain, let us narrow the discussion variables and limit it to those who have been purchasing Audis for some time, are clearly hooked, and would probably need to check into the Betty Ford Clinic to break their Four Ringed addictions. If you are new to the brand, your second and third Audis attest to your desire to become one of the choir as you pony up to pay some of those expensive service bills if you are out of warranty. Besides the fact that we drive what we can or better put generally afford, there are numerous other reasons, which overlay that decision. Of course, there is all this left-brain right-brain Sturm und Drang (tension) and the weighing of the pros and cons. The cars we drive reflect not just our need for transportation from point A to B, but also how we wish to have others see us in that process. Driving many of the models presently available often garners compliments or thumbs up from those surrounding us, clearly reaffirming that our purchasing decision was 100% correct, even if we do not know these folks and in some cases would not even think of asking them for their advice on anything. Obviously, we smile and as we should, graciously thank them for their comments. The Audi cognoscenti among us sometimes are smitten with those iterations of the brand, which were milestones in the past such as Ur models including the Ur RS4 Avant or the SWB Ur quattro. Unfortunately, it would appear that now that the Avant except for an allroad trim model has also rolled off into the sunset. Those with perhaps the more continentally inclined taste and desire for the Avant models have been surgically cut out of the loop. If money were no object one of those older Audis, though certainly not as safe, fast or comfortable as many of today’s models, would be my choice. The other would be federalizing the new RS4 or RS6 Avant or in deference to the “greens” something a bit more eco friendly, an A6 Avant with the 313 HP TDI engine. At my age and not wishing to arrive too quickly, that TDI with a 0-100Km/h of 5.3 sec would certainly be fast enough to drive off into the sunset. Therefore, within the limits of what is both available and affordable, we do the best we can. I for one and as mentioned to me by the AoA Southern Region manager “settled” for an A7. Not to sound spoiled, but who the hell settles for an A7 or for that matter any Audi. In the scheme of things and compared to a lot of what is available out there, they are not inexpensive. For about the same entry fee, an RS5, Q7 or for another fist full of dollars an S7 or A8 could have been purchased. Nevertheless, an A7 comes closest to the A6 Avant in serviceability and being a bit svelter than a Q7, which is too big for the two of us and does not fit our “life style.” Almost everything in life is a trade off one way or the other. The A7 is now over a year old and the only time the back seat has been up is when one of my cousins from Germany visited us during Christmas. She loved the A7 and even asked my wife if I let her drive it on occasion. Perhaps there is some driving pecking order in German families; I thought it wise not ask. As with many of my cousins, they own a wagon, theirs is an E Class diesel wagon for their frequent trips from Hagen to their thatched roof cottage in Darß on the Baltic. Too bad an E Class diesel wagon is not available here; I could save myself the trouble of checking into the Betty Ford Clinic, to end a 34-year addiction. Finally, we purchase a particular model because we can, it meets our multiple needs to various degrees and the level of therapy and occasional static from our significant others, is at an acceptable level. In other words, after weighing all of the alternatives, the juice is worth the squeeze. Here is looking forward to having you join us at one of our upcoming events and should you have any questions, or comments, please give a shout.